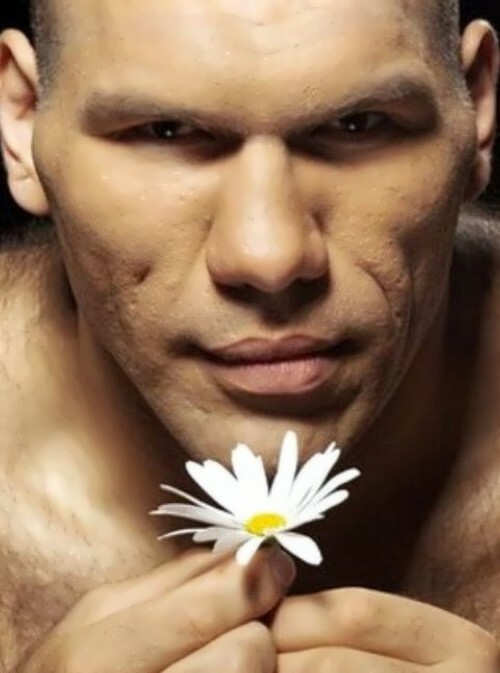 Nikolai Valuev is a Russian giant with a sensitive soul. Also he is known as the Beast from the East. By the way, he is the heaviest and tallest heavyweight boxing champion in history. The boxer is 213 cm tall, and the weight at the peak of the sports career reached 146-151 kg. Awesome boy was born on August 21, 1973 in Leningrad, Soviet Union (now Saint Petersburg, Russian Federation). As a teenager, he played basketball and was a discus thrower. 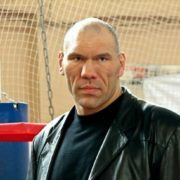 At one time Valuev attended a circus school, then he entered the Institute of Physical Culture. A year later he left the institute, but graduated from it 10 years later. 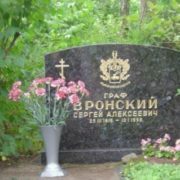 In 2010, the boxer entered the Moscow University at the Faculty of Economics. 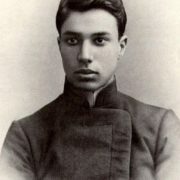 At the age of 20 Nikolai became a boxer. Oleg Shalaev was the first coach of Valuev. His career as a boxer began in 1993 and developed at a rapid pace. 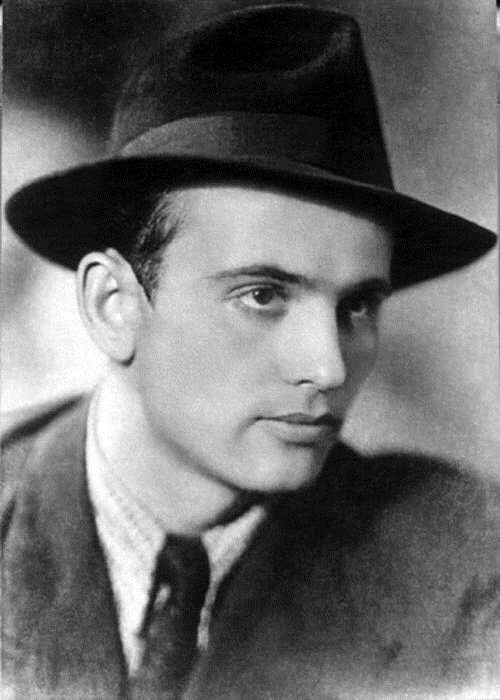 The first fight took place in Berlin, where Nikolai defeated American John Morton. 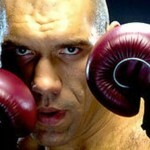 In 1999, Valuev defeated Russian boxer Alexei Osokin and became the heavyweight champion of the country. The following year, the athlete won the title of champion in a fight with Ukrainian boxer Yuri Elistratov. The title of intercontinental champion Nikolai won in 2004 after a fight with Richard Bango. In December 2005, the Russian boxer became the WBA heavyweight champion for the first time in history. So in 2006, in a fight against Owen Beck, Nikolai defended the title with honor, and a year later he repeated the result fighting against Jameel McCline. But in 2007, Nikolai lost to Ruslan Chagaev, boxer from Uzbekistan. On November 7, 2009 Nikolai lost the title of WBA heavyweight champion to David Haye. To tell the truth, in his boxing career Nikolai has been defeated only twice by Ruslan Chagaev and David Haye. In 2010, Vitali Klitschko summoned Valuev to a fight, but the battle between two outstanding athletes did not take place. Fans still regret it. 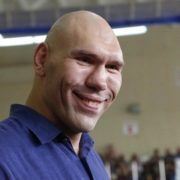 A year later, Valuev completed his boxing career. The great boxer has written a book My 12 Rounds, with the help of prominent Russian sports journalist Konstantin Osipov. 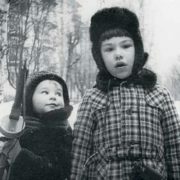 For the book, Nikolai received an award from the government of Saint Petersburg. 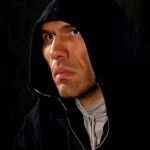 In 2009, Nikolai together with a group of coaches, created Nikolay Valuev Boxing School. Moreover, he is an actor. The boxer debuted in the German film 7 Zwerge – Der Wald ist nicht genug in 2006. 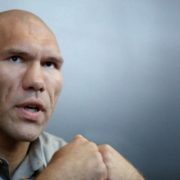 In 2008 Valuev played the main role in the film Stonehead (Rock Head) by Philip Yankovskiy. At the movie festival Window to Europe the film won the main prize. In 2009 Nikolai played in two films: Fight Without Rules and Path. 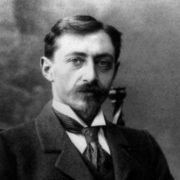 Also Nikolai participated in several photo and video advertisements of various products and services. On September 13, 2010 the Valuev Foundation was opened, which was established to promote regular physical exercise among young people. He is planning to open a family restaurant in Germany. 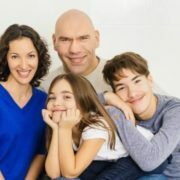 Athlete, politician and showman Valuev is a good family man. In 1998, he met his future wife Galina. A miniature girl attracted the attention of the giant. 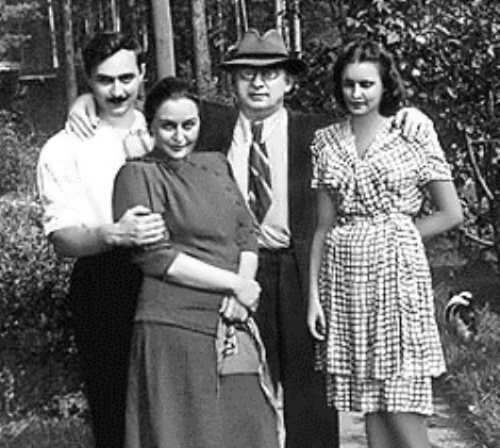 Soon the young began to live together. There are three children in the family: a daughter and two sons. Valuev likes hunting and boats, owns real estate in Russia and Germany. In 2016, Nikolai along with the biologist-hunter Valery Kuzenkov became presenters of the program Great Hobby.